After four years of expat life in Prague, i’m constantly searching for new and stimulating activities for our two daughters so I was really excited and inspired to hear of this upcoming event for young children and teenagers! 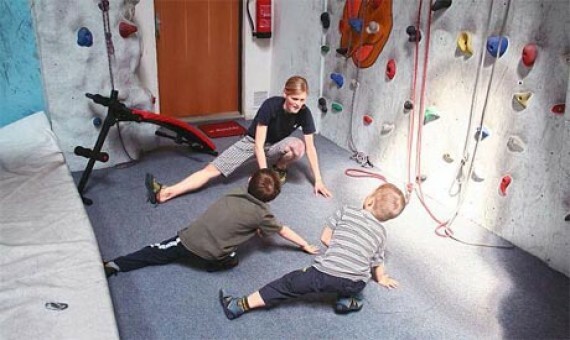 The charity Schools for Children of the World1 have organised a fun day of rock climbing at the Mammut Holešovice Climbing Centre with qualified English speaking instructors. Come join us on June 9th!! I am really looking forward to taking my eldest so she can experience the fun, exhilaration and team spirit of rock climbing and it is something I would have never thought to do on my own! Not to mention a wonderful opportunity to meet new friends in Prague. This fantastic event is being organised as a fundraising activity by the Schools for Children of the World1 who are a non profit organisation committed to providing educational opportunities in underdeveloped countries through quality school facilities. 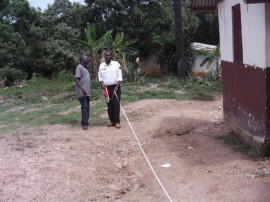 A proportion of all tickets sales from this event will be donated to the charity, currently building the Gbarnga Community Learning Centre in Liberia, Africa. So in essence, on this day our Kids will be climbing to better the life of another. 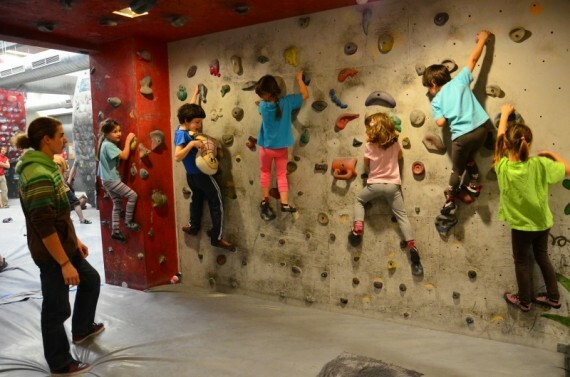 In preparing this guest report I spoke with Charlotte Daniels from the English International School of Prague, a first grade teacher who recently took her group of students to the climbing centre. Charlotte’s feedback really helped me decide. This will be a wonderful opportunity and experience for my eldest daughter, so we’re booked! The rock climbing experience for children will take place in relevant age groups running at set times throughout the day. Cakes and refreshments will be available in a hospitality area at the climbing centre where we can relax and chat while our children are mastering the climbing wall. You never know, after the kids have a go we may want a turn too! The cost of the ticket per child is at the special price of 320CZK. WHAT TO BRING: Children should wear comfortable clothing for climbing and feel free to bring refreshments; there is a canteen at the climbing centre where food and drink can be purchased. FURTHER INFORMATION ON THE VENUE: http://www.stenaholesovice.cz (in Czech only). The MAMMUT Holešovice Climbing Centre is one of the biggest climbing centres in the Czech Republic. 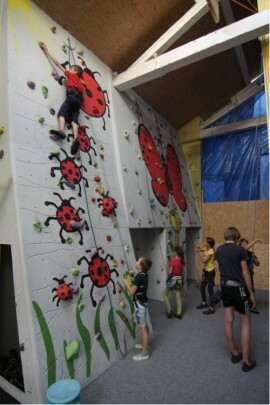 The centre is ideal for those who climb for the first time, and is experienced and equipped to teach children to climb. DIRECTIONS: You have to be ready for a bit rough entry. I have to admit I was a bit confused on how to get into Mammut Climbing Centre, where to park and how to find it. It is a bit of a puzzle. Mammut Climbing Centre is situated in an old factory area surrounded by automotive workshops. If you go by car you can park your car opposite Mammut on Bubenska street. There is a public paid parking place at 30kc per day. Then walk across the street and walk down the driveway and around the back of the building to enter the climbing centre. The organisers say they will put signs up on the day and look out for the blue balloons! By Metro: Take red line C to the Metro stop : Holesovicke nadrazi. Take a tram form there.